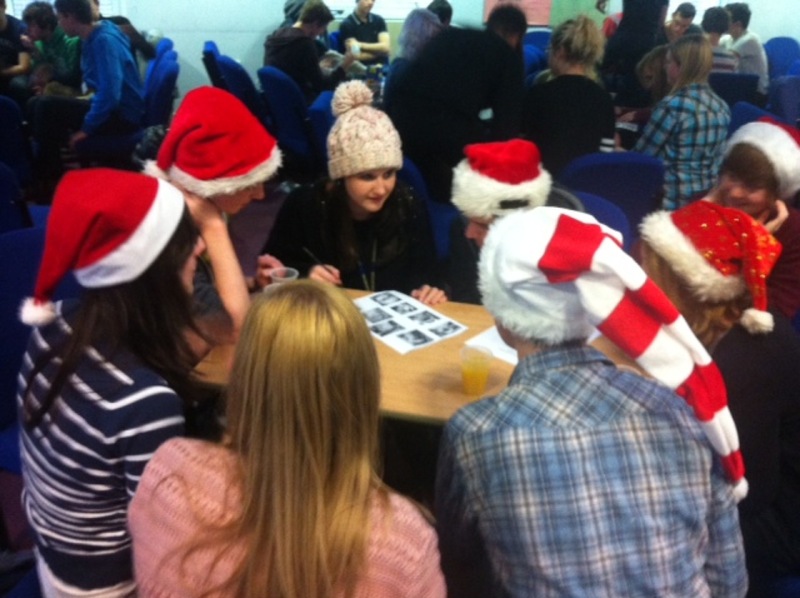 Festive fun at the end of term! 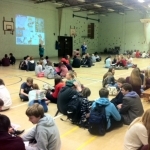 Students and staff at saltash.net community school were able to relax for the final hour of the Autumn Term 2013 as year groups came together for a medley of festive fun activities. 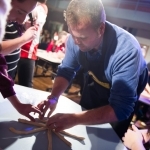 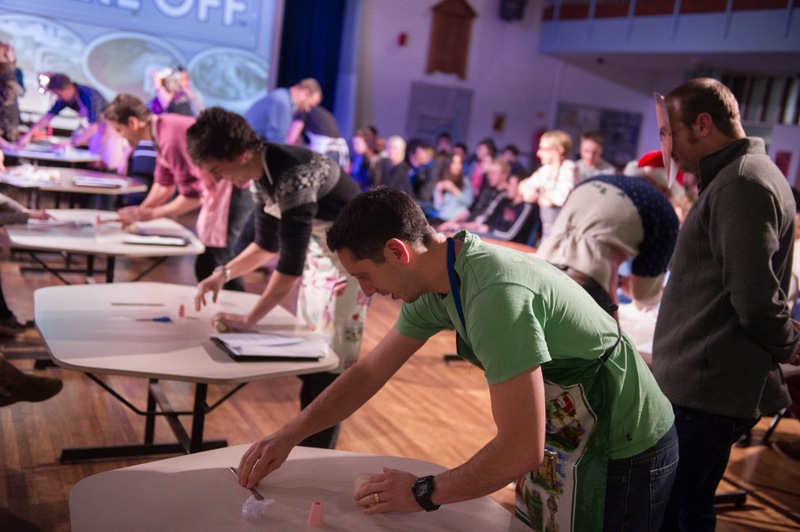 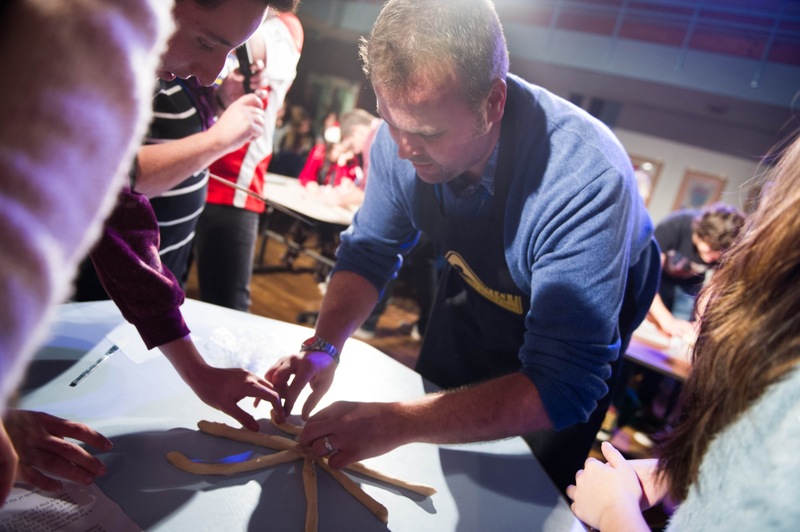 Causing much entertainment and merriment for Year 11, was a ‘Dotnet Bakeoff’ which saw the team of 10 form tutors, ably assisted by Year 11 student volunteers, compete with each other to produce the best plaited bread loaf, as well as a selection of Christmas themed cupcakes. 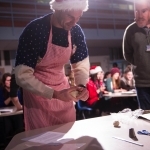 ‘Mary Berry’, ‘Sue Perkins’ and ‘Paul Hollywood’ were all present to assess the staff members’ culinary skills, before the winner – Nigel Lutey, current form tutor for 11CR – was crowned champion. 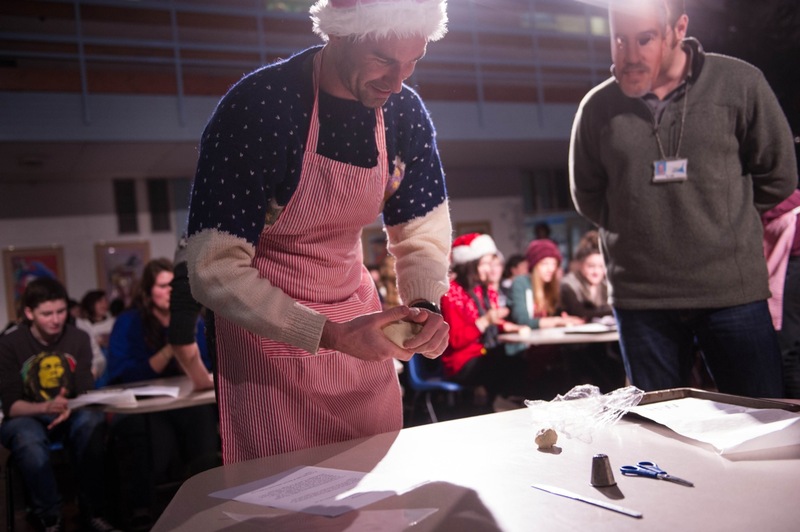 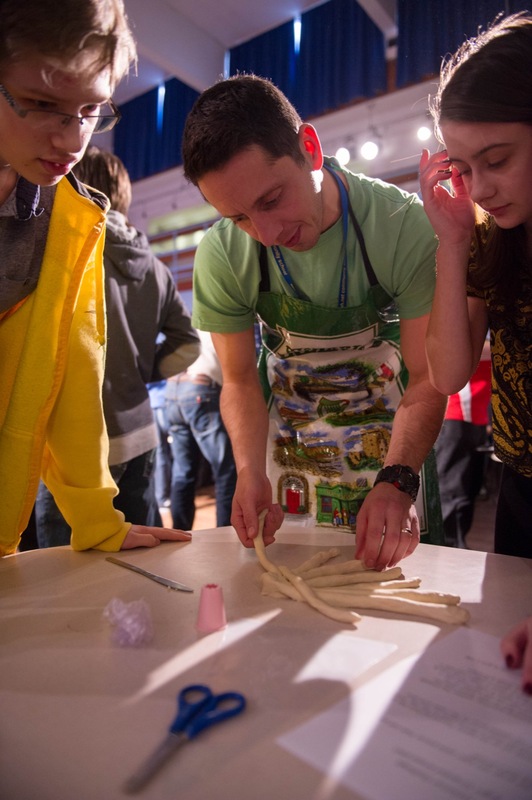 Not to be outdone, Years 12 and 13 organised a Christmas challenge, which included seeing who could best wrap an unusual shaped present in a limited amount of time – definitely a key life skill! 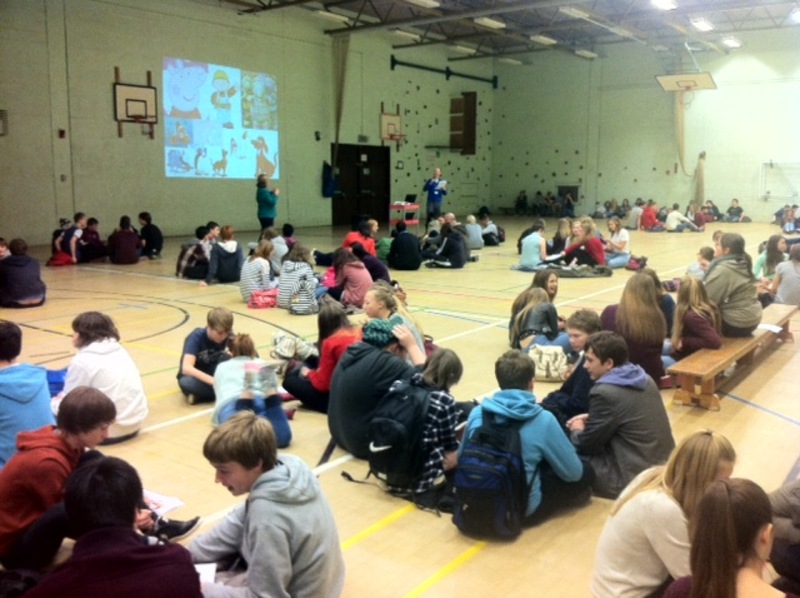 The other year groups enjoyed Christmas themed quizzes, parties and games before departing for a well-earned break after a lot of hard work throughout the Autumn Term. 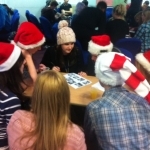 Another very successful Christmas themed event which took place during the last week of term was the Celebration Lunch, organised by Assistant Head, Pete Bond. 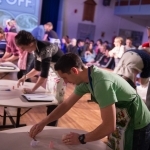 Around 50 students were nominated by their Heads of Year to attend the meal, in recognition of either excellent effort and progress over the past term, or for making an excellent contribution to the school community. 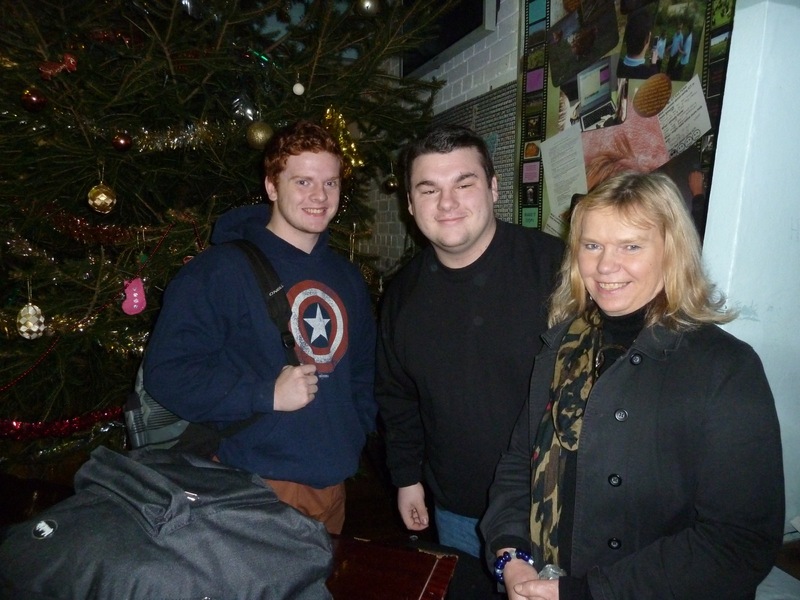 Canteen staff cooked a delicious Christmas lunch which was enjoyed by all present.